To visualize the making with a mould, to show it with images, the local “Atelier Lokaal”(creative workshop center) used the mould I have possessed for many years (and which collected only dust) and made a pig piggy bank with it. What you see and read here is part 1 from the pouring to the ‘rough’ piggy bank before baking. The mould is made of plaster and therefore absorbent. 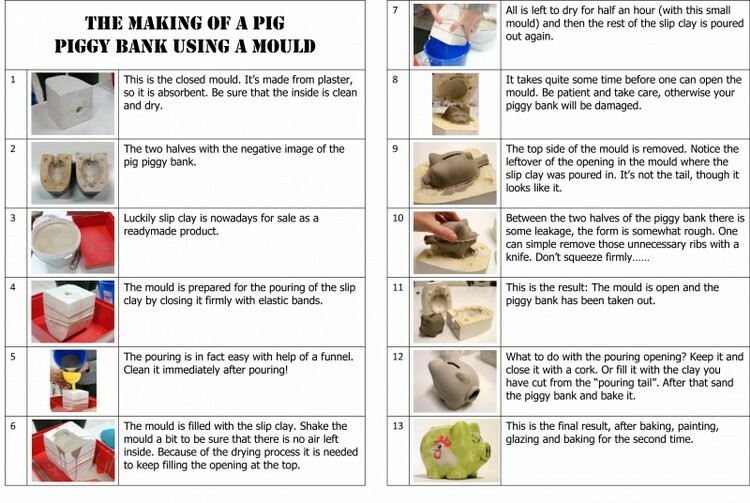 De slip clay dries on the wall of the mould and in this way a piggy bank is created.